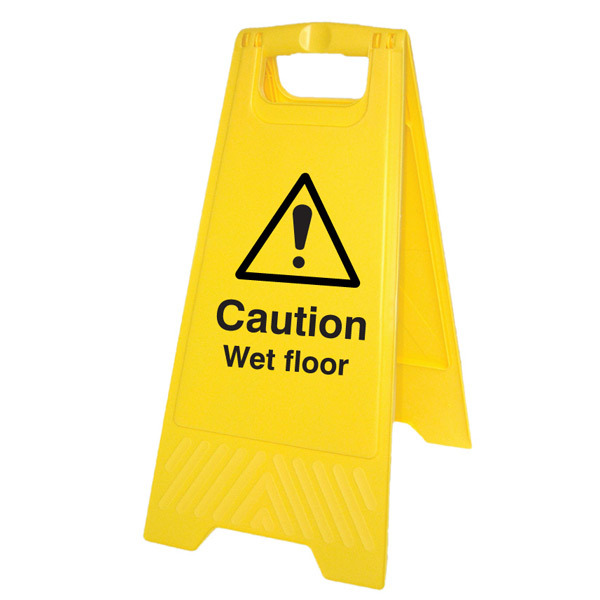 Manufactured from heavy duty polythene in high visibility yellow. Avoid possible accidents by warning employees and visitors of hazards. Message printed on both sides. Folding, double-sided self standing safety sign. Available seperately or on offer 3 for 2.